Like all SEO strategies, enterprise SEO begins with smart keyword selection. Emphasize high-tail and medium-tail keywords that make good categories and subcategories, and can be combined with other words to make long-tail queries. There are some helpful SEO tools from companies like iQuanti to help you make the right keyword selections. In the era of digital marketing services, content is king when it comes to drawing in clients and boosting SEO. Your enterprise website is really just a fancy way of presenting the content to prospective clients. The content enables the user to get an idea about your products and services and your uniqueness from your competitors. It is important that it is presented in the perfect manner possible. Keep adding new data so that the content doesn't get obsolete. Furthermore, the content you upload should be regularly updated to maintain its relevance. Technical improvements are another crucial aspect that needs attention. Paying attention to technical SEO can ensure that a search engine has smooth access to your enterprise website content. These minute technical details can go a long way in increasing the search visibility of your website. Usually, the content management system that you use will be taking care of these technicalities. Some of these issues include: ensure that the crawlers are properly able to explore your website, the time taken to load the web pages should be minimum, your website is smartphone compatible, etc. By emphasizing on a correct site structure, navigation, and layout, a nenterprise website can increase its visibility dramatically. These points slightly overlap with the idea discussed above. 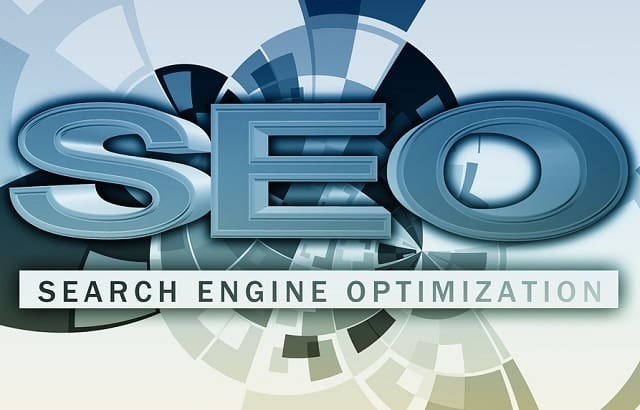 For enterprise on-page SEO, first and foremost do keyword research, as we mentioned above. Include the keyword in your page titles, alt text, meta description and content in an organic way without being spammy. Don’t insert keywords forcefully or out of context or you'll risk your enterprise website being penalized by Google. Try to use keyword variations throughout the page to make it seem more natural. Always try to use simple and descriptive URL's and construct crisp and suitable meta descriptions. The emphasis should be on providing visitors with an exceptional user experience on your enterprise website. How is the current visibility of your enterprise website? Does it have a strong visibility on search engines like Google, or is it virtually non-existent? Domain and page authority play a huge role in determining how the enterprise website page will rank in search engine results. Backlink-building is an off-page way of indicating the credibility of your website to the search engines. Building links are one of the many tactics used in SEO because links are a signal to Google that your site is a quality resource worthy of citation. But not all links are created equal. Keep in mind that irrelevant and false links will drag down the enterprise website’s rankings. It is necessary that the links you provide are genuine and relevant to the context. If you get any spammy links you'll need to disavow them through Google. Enterprise SEO is crucial when it comes to getting the best results for your company's content. Keep the above tips in mind and your enterprise business will flourish online! I hope you enjoyed this article about how to improve your enterprise SEO.